Taking the family on an outdoor adventure this time of year can be tricky. The beautiful forested trails that are normally our go-to spots can become virtual mud pits during the wet winter season. 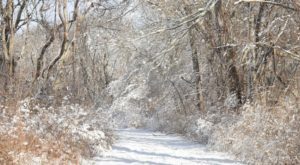 Luckily there is a paved trail in Rhode Island that is hikeable or bikeable during any season. 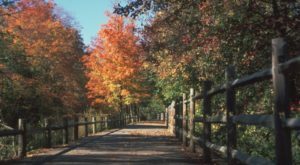 The Washington Secondary Bike Path is the longest paved trail in the state and the perfect spot to enjoy the outdoors. 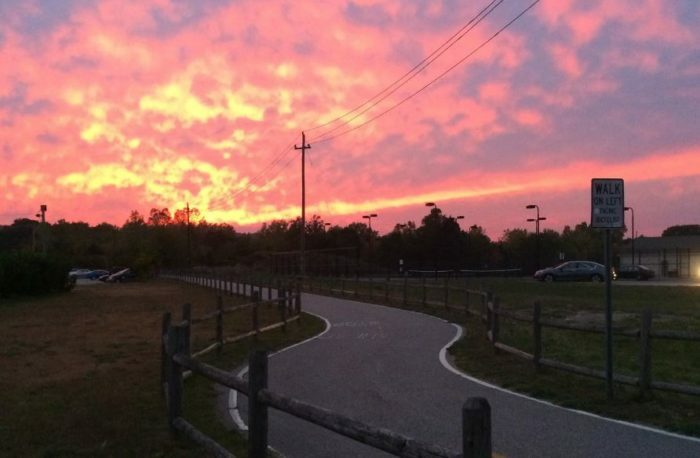 At 19 miles in length, the Washington Secondary Bike Path is the longest paved trail in the Ocean State. It runs from Cranston Street in Cranston to Log Bridge Road in western Coventry. 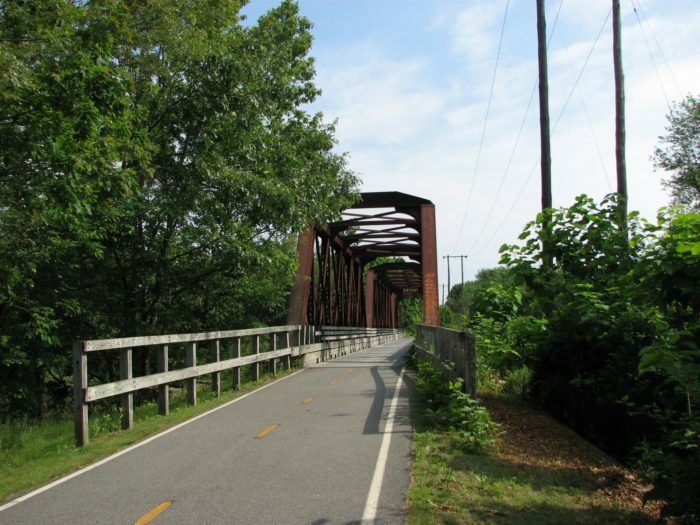 The trail was named for the abandoned railway corridor once used by the Providence, Hartford, & Fishkill Railroad. 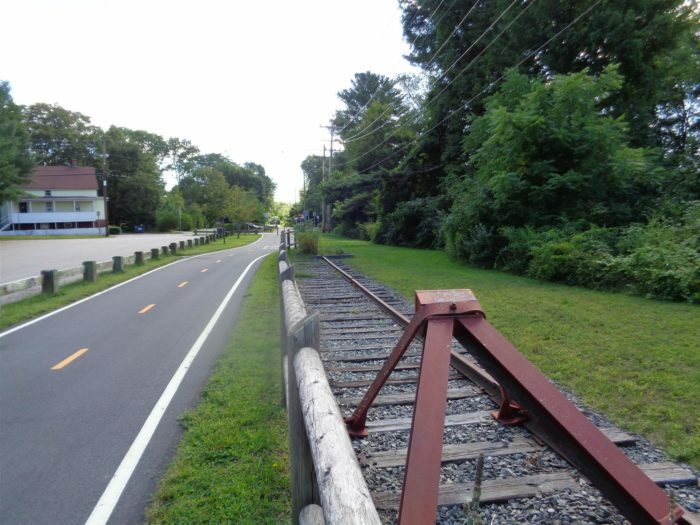 You can see some evidence of the former railroad in preserved track, a whistle stop, set of wheels, and more as your journey along the trail. 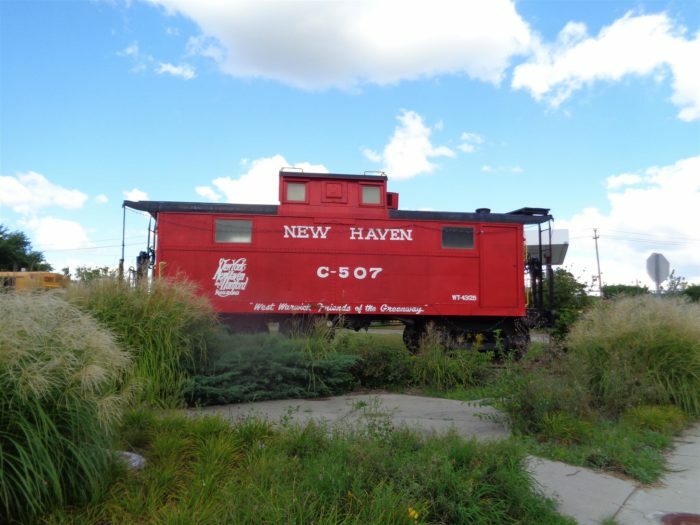 In Warwick, the trail passes an old caboose on display. Kids and adults alike get a kick out of seeing the old railroad items. What's fantastic about the path is the smooth level surface that makes walking, biking, inline skating, and even pushing a stroller a breeze. Wide enough for easy passing, the trail can accommodate plenty of people moving at different speeds. Some sections pass through developed areas like where the unique trestle bridge spans the river. While other sections are rural and quiet lined with a lovely forest on both sides. 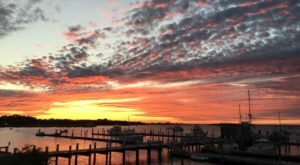 You'll find plenty of gorgeous water views along the way. 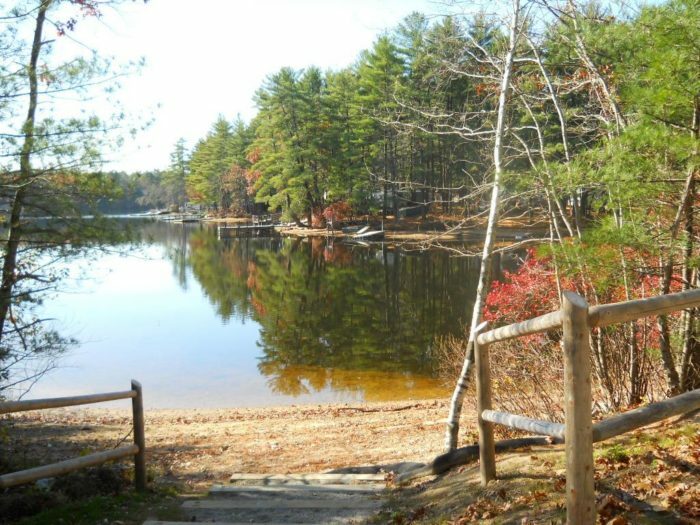 The bike path runs alongside Stump Pond and parts of Flat River Reservoir. One of our favorite places to visit is the Summit General Store in Greene. 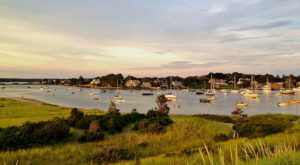 This charming spot right off the trail is a great place for a pit stop. 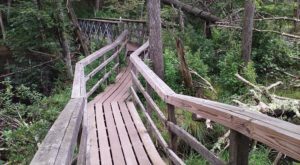 Grab a sandwich and a drink while you retie your shoes and get ready for the next section of the trail. 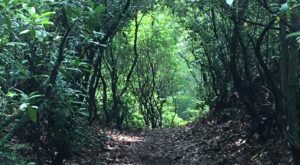 You certainly don't have to tackle all 19 miles of the trail, you can divide it into shorter sections to create multiple outings. 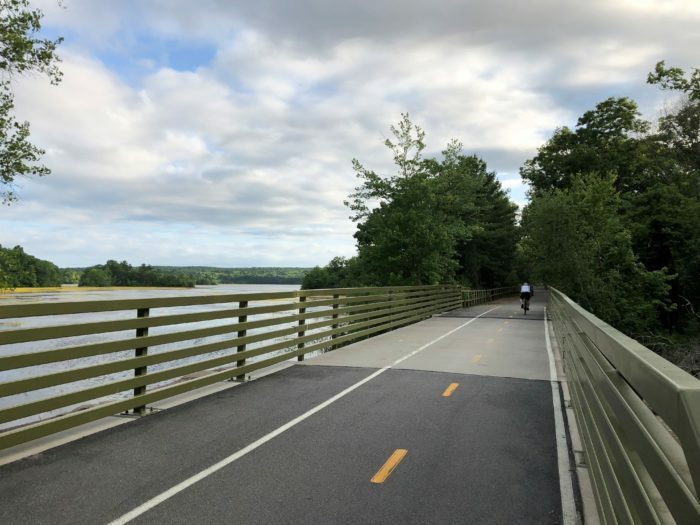 The next time you're searching for an outdoor excursion that anyone can handle, head to the Washington Secondary Bike Path. 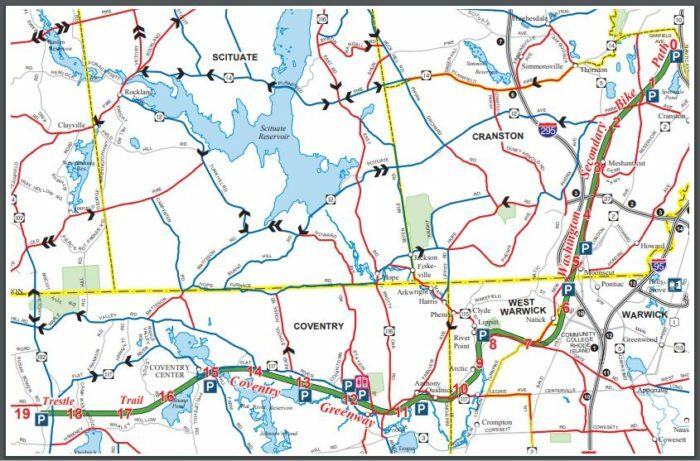 The Washington Secondary Bike Path has more than ten parking areas along the 19-mile trail, so you can access it at many different points. 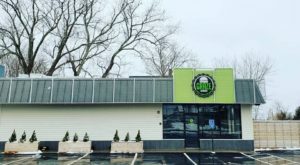 To see a full list of parking options, click here. 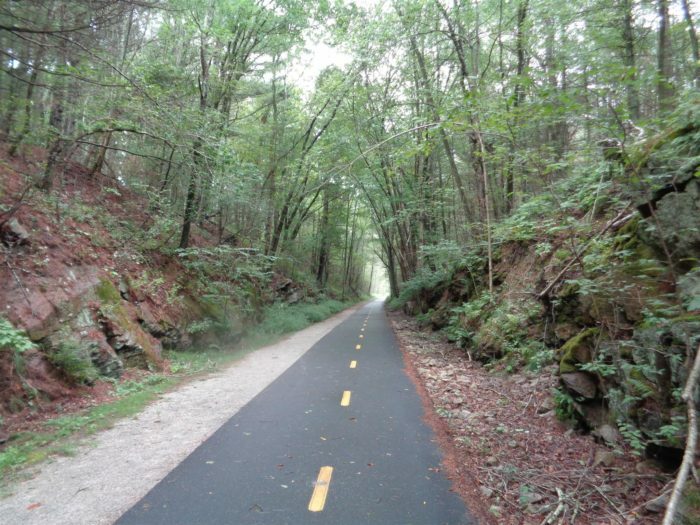 Have you ever walked, biked, or skated this wonderful trail? 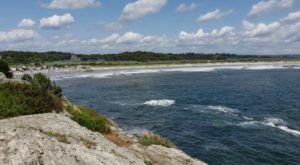 To take a closer look at Rhode Island’s other paved walking and biking paths, click here.